The New York Times Has Become Trash-y. 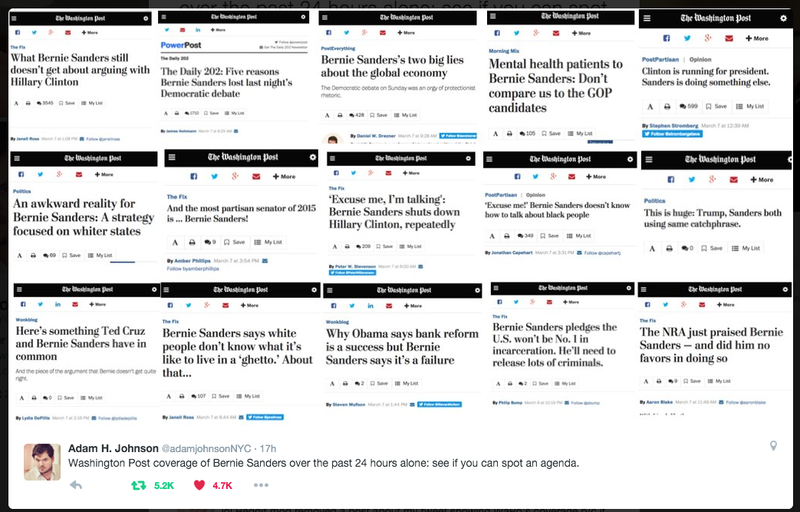 Clearly showing the intentions of Jeff Bezos, Amazon.com and Washington Post owner to paint Bernie Sanders in a negative light. These headlines use the same sensational hyperbolic tactics originally adopted by trashy magazines you’d find at the checkout counter in grocery stores. The Times is using a classic Clickbait tactic of rhetorical questions to put seemingly objective ideas in the readers head while affirming a stance –A tactic popularized by Upworthy. 1. Drawing attention to this statement and putting “write off” in quotes is patronizing and makes it seem like he’s already been written off. 2. Beginning a headline with “why” is an obvious clickbait tactic, this type of rhetoric would never have appeared in NYTimes print 20 years ago. 3. 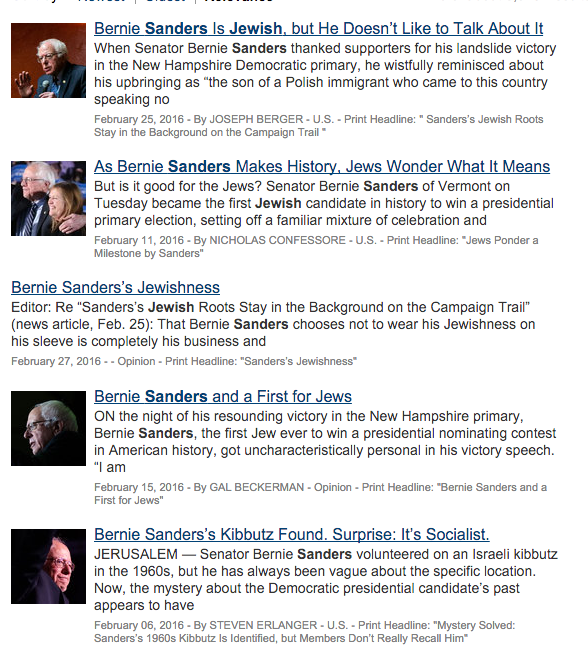 The Times reports more than any other paper about Sanders’ “Jewishness,” with lines like “But is it [he] good for Jews?” Such rhetorical questions are another cheap clickbait tactic to put an idea in the readers head while still coming off objective. 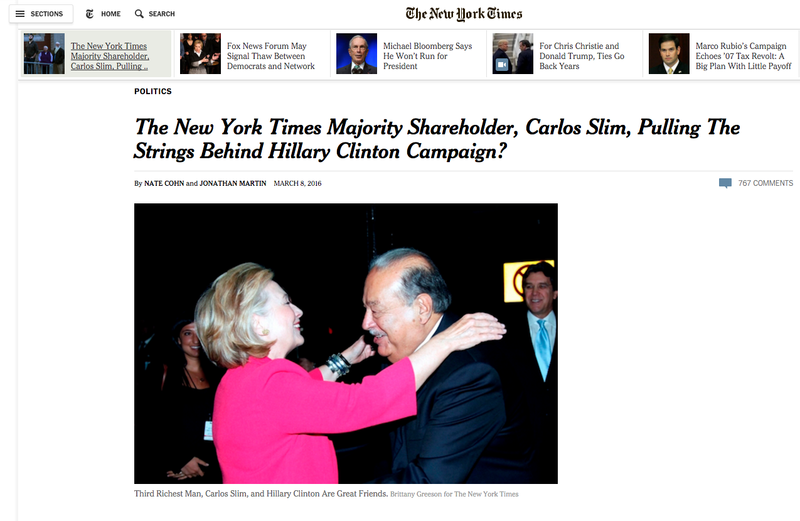 Is the New York Times Carlos Slim’s mouthpiece? 5. Making up new social justice words? Man-splaining but with Bernie? Cute. The Times has made their intentions clear, like in 2008, they have come out and endorsed Hillary Clinton for the Democratic Primary. 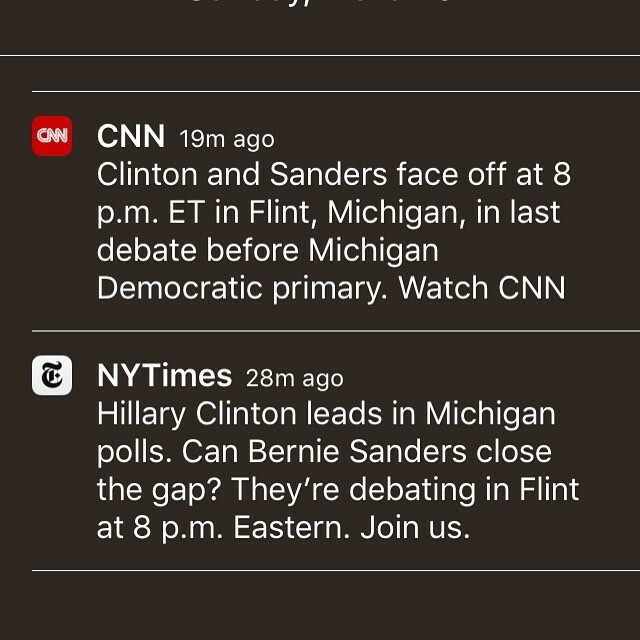 My issue with the Times isn’t their endorsement, rather their coded rhetoric to dissuade the public against Sanders by taking advantage of our insatiable appetite for entertainment over facts. 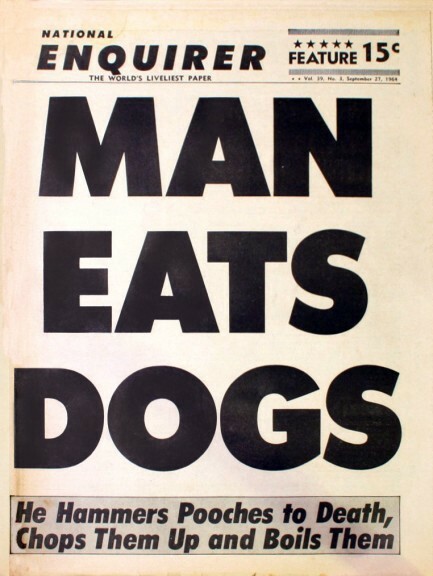 Such newspaper sales methods where sensationalism trumps fact is not new, once referred to as Yellow Journalism, a dangerous tactic that has even caused wars.